QuickSchools is not just great for K-12 schools; we’re great for all kinds of small schools, including trade schools and vocational institutes. If you have a school for adults, albeit a nursing school, a driving school, or a school for culinary arts, you can take advantage of QuickSchools to keep track of performance and communicate with all your students. 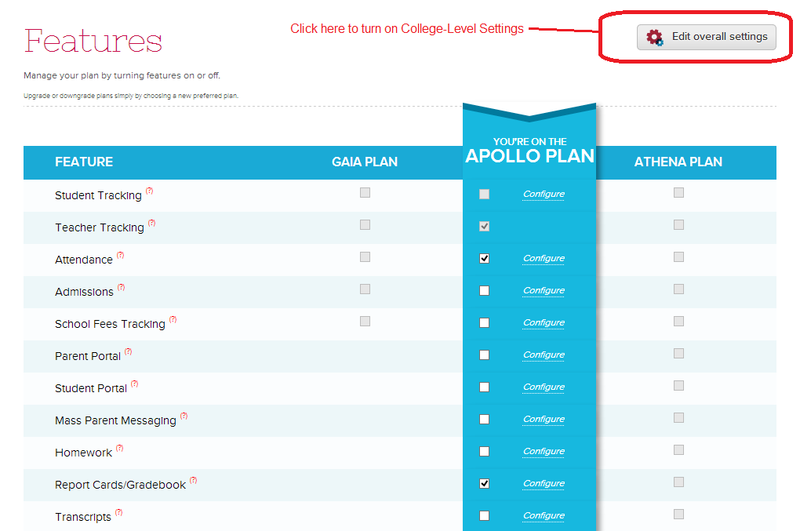 From there, make sure you check off the “Turn on College Level Settings” check box. Once you save, you’ll notice a new “Class Setup” menu along the top. Click there for the next step. If you don’t have any specific program, you can add something generic like “General”. You will need at least ONE class to continue to the next step, which is under the “Courses” menu. 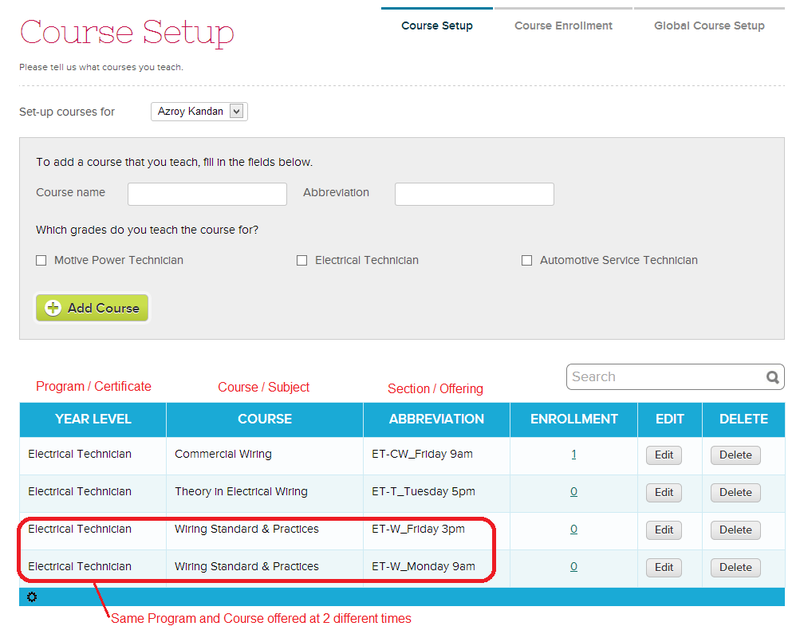 Under “Courses” > “Course Setup”, you can create courses for each program. And each course may have several sections or offerings. In the example below, we have the “Electrical Technical” Program that has 3 courses. However, the “Wiring Standards & Practices” course is offered at 2 different times, and a student would only be enrolled in either one of the section, although both are part of the same course. Hopefully, this example illustrates one way of organization your programs, courses and sections to suit your needs. Once you’ve set up your courses, you can enroll specific students into specific courses / sections by clicking on the link under the “Enrollment” column. Simply search and select a student from the “Enroll Student” box. Finally, you can use the “Edit” button to change / reassign the course to specific instructors. 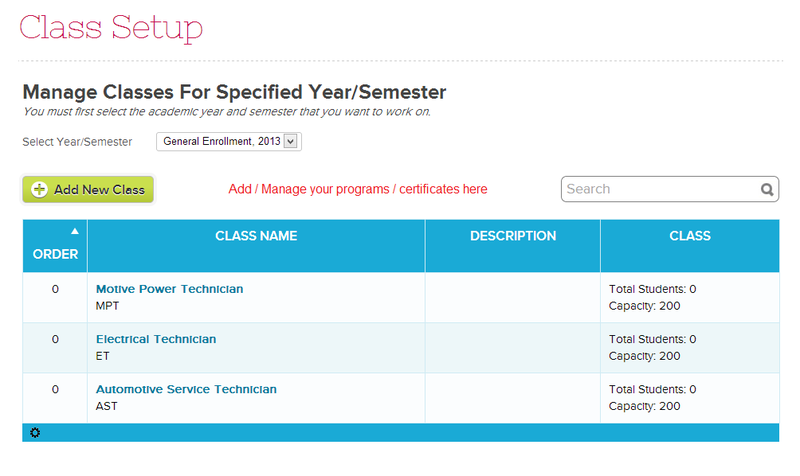 And know that if need be, you can also assign multiple instructors to the same course section. With subjects and enrollments all configured, you can then continue to use the various other areas of the software, like the gradebook, the report cards, messaging, as well as the student portal, just to name a few. Note: In enabling College Level Settings, please know that the Email Latest Statement feature in Fee Tracking module will send billing statements to students instead of parents. If you’d rather have the billing statements sent to parents, please send us a request at support@quickschools.com. Please come chat with us if you have any questions.